This year’s ScaleModel World show held at Telford. UK. Was the celebration of the 50th anniversary of IPMS (UK) and special award was given to IPMS (UK) by IPMS USA, who are also celebrating their 50th Anniversary in 2014. 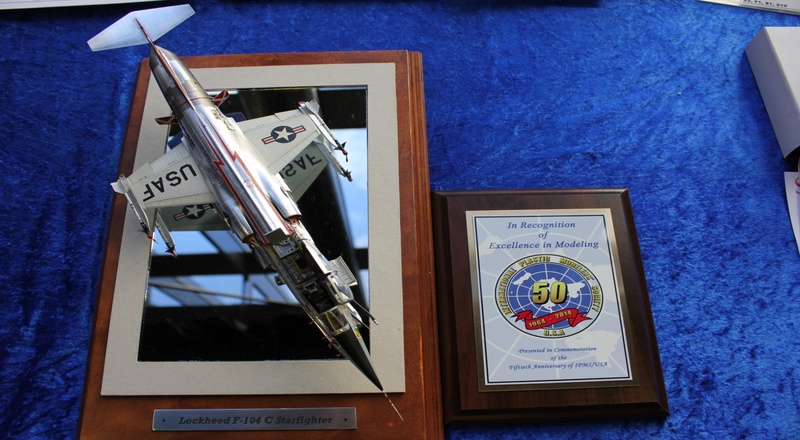 The award is to celebrate 50 years of scale modelling in the USA and a special plaque was made for this once only award. All entries into this award were taken from all classes in the competition at ScaleModel World and it was the competitors who entered their models into the award. There were numerous entries into this award and they came from all over Europe to enter. Manel Gallant - IS-3 R-1 "Elbrus"
Marcin Matejko - Laird Turner LTR 14 "Meteor"
The judges for this award were taken from the competition staff of IPMS (UK) and with the brief from the committee of IPMS (USA) on to their criteria for this award and in the celebration of the year of 1964 they had the thankless task of choosing a winner. After judging every model and debating which had the merits for this award it was decided that the winner was. Damian Piekarczyk - F-104C Starfighter. All entries in to this special award were of outstanding quality and skill from all who competed in this trophy.